The Clarifai Captains community includes software developers, tech advocates, and Clarifai fans joining us on our mission to accelerate the progress of humanity with AI. 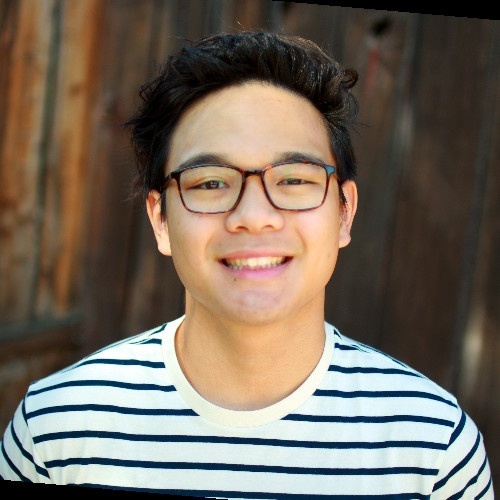 This week it's my pleasure to feature one of our Clarifai Captains, John Pham, a Computer Science graduating senior at the University of California, Riverside. John is an accomplished hackathon runner and engineer now, but his journey all started with art. Like the other Clarifai Captains, John uses his knowledge and skills to improve the world through real applications of computer vision and artificial intelligence. Skip: Hello, John! Tell us a little about yourself. John: I'm currently a senior studying computer science at the University of California, Riverside. During my time as a student, I've served as the President of the ACM chapter and director of Citrus Hack, kickstarted BioHack and Rose Hack, and led the development of a new CMS for the University. Outside of school, I've interned at the NASA Jet Propulsion Laboratory, The Aerospace Corporation, and AT&T working on projects from data science to web development. As my undergrad wraps up, I'll be finishing up by returning to JPL as a software engineer intern, then afterwards starting at Amazon as a software engineer. Skip: What motivated you to become a developer? John: I started my developer journey as an art major at their first hackathon. Initially there for the free food and swag, I ended up joining a team to make a video game. "A video game? Perfect! I can make the assets for it." As the 30th hour rolled by, the programmers on the team were asleep and I just finished all the assets for the game. I took to Googling C# to figure out how to add the assets myself. That little exposure to programming sparked my interest in computer science, so I filed for a major change the following Monday. The thing that keeps me on this journey is all of the cool things I can do. Just by knowing the basics, you can build so many things that impact people in different ways. I've built apps that helps my parents' day-to-day lives to applications that streamline pen-and-paper processes. The impact of freeing someone doing a task they don't like keeps me going. Skip: What gets you excited about a project? John: In four words: Impact, Scale, Challenge, and Team. Skip: Can you expand on that? What kinds of challenges motivate you? John: Challenges that incorporate at least 3 of the traits from above are usually the ones that I have the highest motivation for. Challenges that have impact are the challenges that are worth facing. Scale means that the solution to this challenge can be applied to everyone, not just a few benefactors. If the challenge isn't challenging, is it a challenge? Lastly, working alone has its moments, but on truly difficult challenges, I can't think of any other way of tackling it than working with other smart people. Skip: Has anything meaningful happened for you personally or professionally as a result of working with Clarifai? John: For my senior design project, I am building an app that will solve the problem of encouraging students to attend lectures. Traditional methods include pen and paper and roll call, but those lack the technology aspect and so are ineffective. The app will use a few different checks to validate whether a student is actually in attendance. A useful model that Clarifai offers is the Face Embedding model, which will be used to confirm if the student checking in is actually the student on record. Also, the Clarifai Captains program is a great way to get connected with folks from around the world who have an interest in artificial intelligence and impacting their own local communities. Skip: Thank you for taking some time to tell us about yourself, John! Good luck with your project and your new job! The Clarifai Captains are a community of software developers, tech advocates, and Clarifai fans joining us on our mission to accelerate the progress of humanity with AI. If you are interested in joining John and the other Clarifai Captains, you can learn more about the Captains program and apply here!